The Washington Capitals are making their first appearance in the Stanley Cup Final in 20 years and just their second in franchise history and every Caps fan is going all in during this big time. From massive sendoff parties at practices and viewing parties at the arena during road games to changing city names, they’ve pretty much done it all. 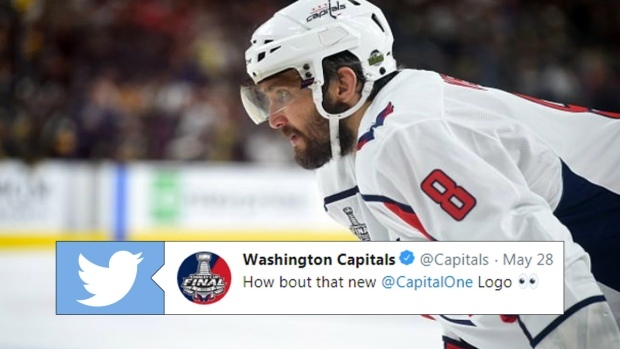 Now, one of the team’s biggest supporters, Capital One, are showing their support for the team by changing their logo to look similar to the Capitals’ current logo. The company changed their logo on all of their accounts and feature a massive Capitals banner on their social media pages. It’s always cool to see business show support for teams during playoff runs and changing your logo is the ultimate way to do it.